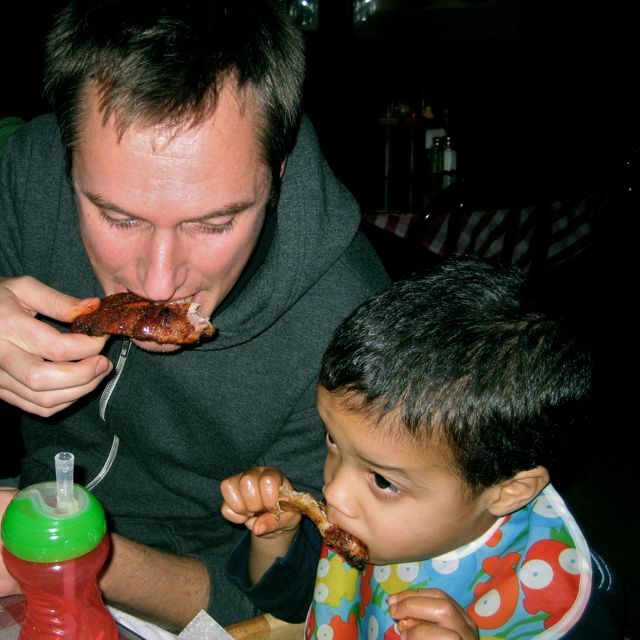 During our Thanksgiving trip to visit Maggie’s family in Tennessee we made the drive into Memphis to introduce Eliot to my favorite ribs, expertly prepared at the legendary Rendezvous. He made his daddy proud. Looks like Eliot is a chip off the ‘ol block. I just wonder where your bib is?